Simple words have great power. In choosing the title of his new film, Iñárritu borrowed this power, but with this comes a risk. Does Biutiful (2010) live up to its promise? By the deliberate mispelling, Iñárritu takes ownership of the word, turning it from a verb to a proper noun. The mispelling also draws attention to the title, making us do a double-take (a trick also seen in Tarantino’s Inglourious Basterds). Think of other movies which have drawn on this word. Life is Beautiful. A Beautiful Mind. American Beauty. The protagonists struggles to discover meaning and a sort of beauty beyond the Holocaust, the ravages of schizophrenia, and – in the case of Kevin Spacey’s Lester Burnham – beyond the shadows of middle-age and suburbia. Where does Javier Bardem’s character, Uxbal find beauty in his world? [Spoiler alert] Uxbal lives in Barcelona, but it is not the glamorous city familiar to tourists and portrayed in Woody Allen’s Vicky Cristina Barcelona (in which Bardem also starred). Uxbal is a single father who lives on the fringes of Spanish society: a fixer for people-smugglers and immigrants gangs working in sweatshops or scratching a living on the streets. The famous Sagrada Familia cathedral is only glimpsed once, in the far distance from the run-down area where the characters live. It’s not long before we learn that Uxbal has inoperable cancer. Things go downhill from here, in his ‘professional’ life and in his personal life, where his children’s mother – unstable and alcoholic – returns to bring chaos and violence into their lives.The gangs cheat and lie to him, as do the corrupt police he bribes to protect them. Every scheme seems to come undone, yet still he keeps moving, thinking of yet another way to make some money – all the while conscious that he is a dying man. 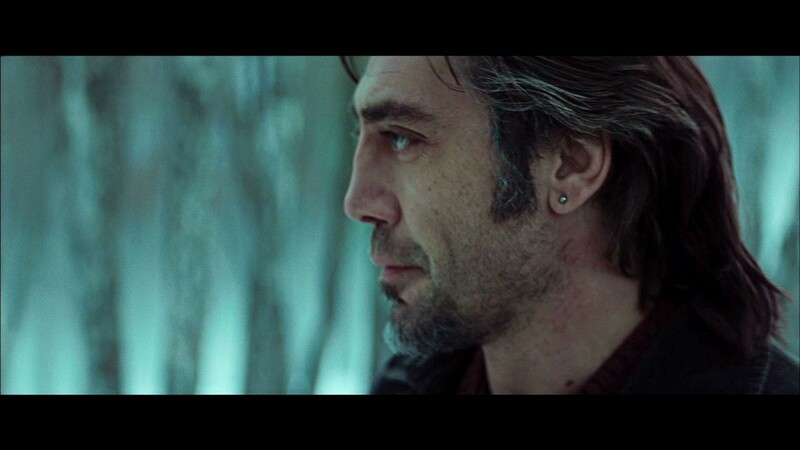 Watching Biutiful was be a depressing, despairing experience at first. it wasn’t so much the pitiful squalor of the characters’ lives which affected me, but that these conditions seemed to form an inescapable condition of being: a hell of the soul. As Uxbal struggles on, though, it dawned on me that he didn’t share my despair. Through the darkness closing in on him, there was always a point of light that he walked towards: his love for his two children and a focus on ensuring they would be looked after when he died. There is something innocent and hapless about the fact that all the money Uxbal has made is kept wrapped up in his sock drawer. In a final act of trust that others are as good-hearted as himself, he hands over tens of thousands of Euros to a Senegalese migrant friend and asks her to care for his children. Whether this was ultimately wise or foolish is only revealed towards the end of the film, just before a final mysterious scene of dead Uxbal reunited with his father at last, walking happily though an endless snowy landscape. Biutiful has its flaws, yet it will be most moving film I see this year, and Bardem is almost assured of an Oscar nomination for his performance of the all-too-human Uxbal. See an interview with Iñárritu, the director of Biutiful, here.